In this manuscript we attempt to provide a narrative history of the relationship between applied behavior analysis and early childhood education by examining the policies and research that have collaboratively shaped both fields. In addition, given the rapid pace at which early childhood education has changed in the last 25 years, we provide an overview of a recommended model for delivering early childhood education services, to illustrate its congruence with the practices and principles of applied behavior analysis. Lastly, we hope that this manuscript may be used as a bridge between the fields of early childhood education and applied behavior analysis given their similarities and shared purpose, to improve the lives of all recipients of their services. Collin Shepley declares that he has no conflicts of interest. Jennifer Grisham-Brown is the co-creator of the curriculum framework model. Behavior Analyst Certification Board (2013). BACB certificants now exceed 13,000 worldwide! BACB Newsletter: May, 2013. Retrieved from http://www.bacb.com/newsletter/BACB_Newsletter_5-13.pdf. Institute of Education Sciences (2017). Request for applications special education research grants CFDA Number: 84.324A. Retrieved from https://ies.ed.gov/funding/pdf/2018_84324A.pdf. Office of Special Education Programs (n.d.). Personnel development to improve services and results for children with disabilities. Retrieved from https://www.osepideasthatwork.org/resources-grantees/program-areas/personnel-development-improve-services-and-results-children-disabilities. Shepley, C., Allday, A., Crawford, D., Johnson, M., Pence, R., & Winstead, O. (2017). Examining the emphasis on consultation in behavior analysis preparation programs. 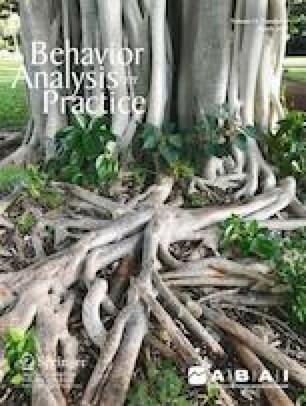 Behavior Analysis: Research and Practice. Advanced online publication. https://doi.org/10.1037/bar0000064.